Making all of the blood cells in your body is no small feat. Every day, the hematopoietic system produces over 100 billion blood cells, just over the total number of neurons in the human brain or around the number of stars in the Milky Way. For most people, the blood system works without any issues in production their whole lives. This isn’t surprising given the robust feedback mechanisms that exist to ensure that about the same number of each type of blood cell (red, white, and platelets) are available in the circulation from day to day. To accomplish this consistency, a plethora of cytokines (small proteins released by blood and other cells) communicate a variety of instructions that regulate the overall production of all blood cells with the hematopoietic system. While there are redundancies baked into the cytokine/cell paradigm, certain cytokines are principally associated with a specific cell type. For example, erythropoietin (EPO) regulates the production of red blood cells. 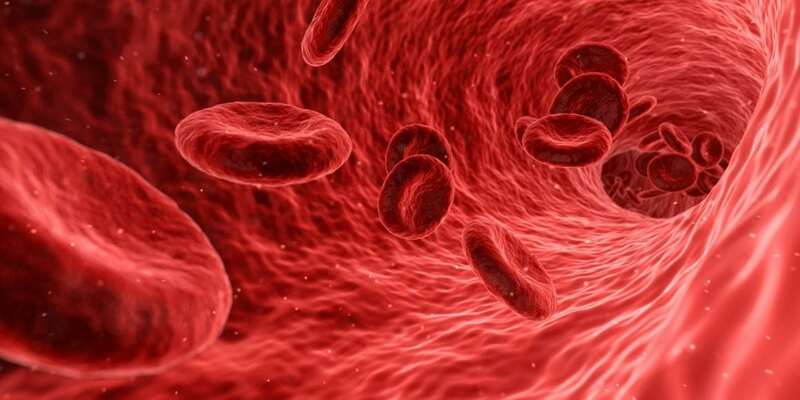 For this reason, when professional cyclists were looking for ways to enhance the exchange of oxygen in their blood, they exploited the stimulatory functions of EPO to increase the production of red blood cells. Similarly, platelets are primarily maintained by thrombopoietin (TPO), which modulates the number of platelets in the blood by controlling the differentiation of hematopoietic stem cells (HSCs–pluripotent cells that produce all blood cells) into megakaryocytes (polyploidal cells that ultimately shed into platelets). Rarely, the feedback mechanisms between megakaryocytes/platelets and TPO become perturbed and induce oscillations in platelet numbers in a disorder called cyclic thrombocytopenia (CTP). Individuals with CTP experience periodic changes in platelet numbers in the blood, often cycling with regular periods between 20 and 35 days. Since platelets clot the blood, individuals with CTP are at risk of frequent and severe bleeding episodes, as their platelet counts fluctuate between normal/high and very low numbers. Due to the rarity of the disease and the difficulty presented by obtaining dense samples of TPO/megakaryocytes/platelets over multiple periods, it is difficult to ascertain the mechanisms controlling the periodic fluctuations in individuals with CTP. To understand how thrombosis (the production of platelets) is altered during CTP, we constructed a mechanistic mathematical model that includes megakaryocytes in the bone marrow, platelets in the blood, and circulating TPO concentrations. It takes a certain amount of time at each stage of platelet production; for example, it takes on average 5 days for megakaryocytes to grow by endomitosis. Taking these time intervals into account naturally suggests a model based on delay differential equations (DDEs) or equations that track the rate of change of an entity by knowing its current and past behaviors. We constructed a two-equation system combining DDEs with ordinary differential equations (equations that track rates of change by knowing the present state of a system) that models the growth of megakaryocytes by endomitosis, their breaking apart to produce platelets, and the negative feedback between megakaryocytes in the blood/platelets in the circulation and TPO concentrations. We first verified the model’s prediction using an average individual (that is someone without fluctuations in platelet numbers) as a test scenario. By linearly analyzing the model, we determined regions where oscillations could be induced by varying certain values in the model, namely 1) the duration of megakaryocyte endomitosis, 2) the rate platelets are removed from the blood, and 3) the interactions of TPO with megakaryocyte/platelet receptors (the clearance of TPO by receptor internalization and the concentration of TPO at which 50% of that clearance takes place). By modifying these four specific parameters, our model successfully characterized previously reported patient data from individuals with CTP. We also demonstrated that these parameters must be altered in these individuals to successfully mimic the oscillations observed in both platelet counts and TPO concentrations (when available). Our goal here was to better understand how changes to hematopoiesis, specifically thrombosis, can bring about the oscillations observed in individuals with dynamic blood disorders like CTP. Future work aims to ascertain how modulations of the parameters affected during CTP, specifically the interactions of TPO and its receptor, can be altered to dampen or eliminate sustained platelet fluctuations. These findings are described in the article entitled Normal and pathological dynamics of platelets in humans, published in the Journal of Mathematical Biology. This work was led by Morgan Craig & Gabriel P. Langlois from Harvard University and Brown University. I am an Assistant Professor at the Département de mathématiques et de statistique at the Université de Montréal, and an Adjunct Professor in the Department of Physiology at McGill University. I received my PhD in Pharmaceutical Sciences from the Faculté de pharmacie at the Université de Montréal, and was a Postdoctoral Fellow at the Program for Evolutionary Dynamics at Harvard University. Broadly speaking, I work in quantitative medicine. My research is focused on constructing mechanistic mathematical models of physiological systems combined with drug models to optimize treatment strategies. 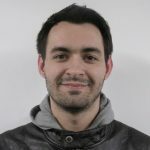 My current projects include various studies of hematopoietic stem cell and neutrophil dynamics in health and disease, PBPK/PD models of antiretroviral drugs to support the design of a novel sustained-release delivery device for improved HIV treatment design and HIV cure strategies, and immunological network theory. I am a 3rd year PhD candidate at Brown University in Applied Mathematics, specializing in probability and optimization.